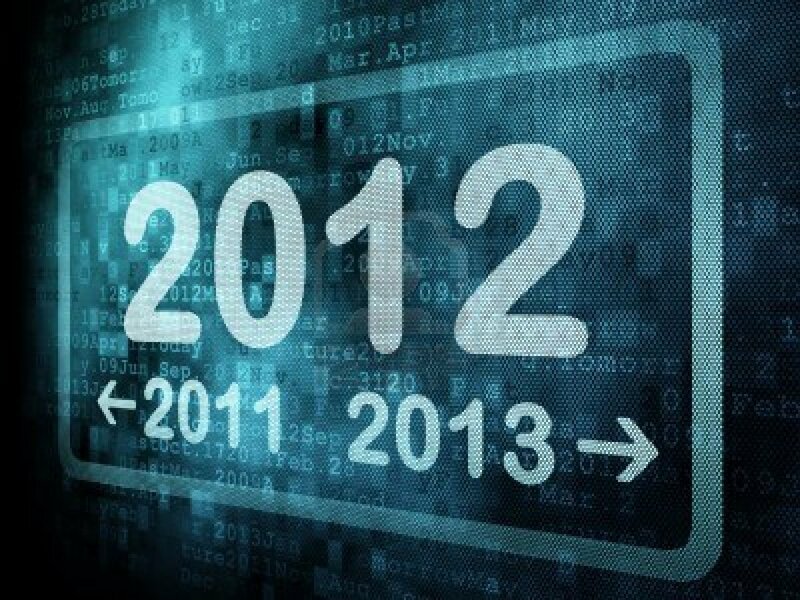 As I look forward to 2013, I can't help but to take look back at what took place in 2012, with my buyers, sellers and our industry in general. Between May to December, I closed on 1802 House Inn in Kennebunkport (represented the seller), Towne Motel in Camden (represented the buyer) and Noble House Inn in Bridgton (represented the seller). Coincidentally, all were in the $1.3m list price range. I had a three other clients who put offers in but for various reasons, they didn't materialize. They were in the $650k to $1.3m range. 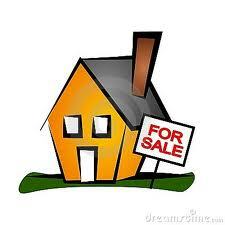 I gained a few new buyer clients going into 2013 and a couple new listings are on the horizon. The momentum seems to be picking up and this feeds my optimism and passion for what I do. I always find myself looking to see how I can match buyers with properties. 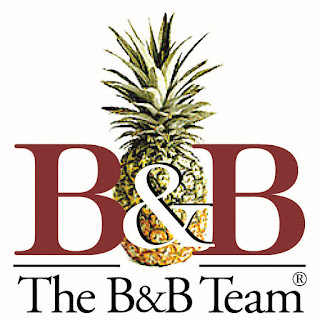 One of the things that has helped me has been to network with other agents who currently have commercial listings to preview their listings. It helps to discuss listings with agents that we might not have thought about before or that our clients may not have asked about. There have been a couple of times where a client has been interested in a property that I previewed and mentioned to them but that's not been one that they've inquired about. So my plan for 2013 is to continue to observe with an open mind, what might be a good fit for my clients with the hope that I am able to open their minds as well. Sometimes looking outside the box can prove to be the best option. Wishing everyone in our industry a prosperous 2013! The Noble House is one of those bed and breakfasts that's picturesque, set high up on a hill with beautiful presence upon the approach. Step inside and the feeling is one of comfort, casual elegance and home. I always loved showing this property. 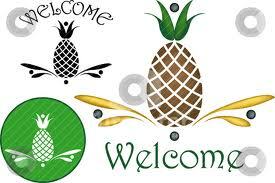 And very soon we will congratulate a new innkeeper as this inn will transfer hands! Are buyers ready to make the hospitality leap? I've been working with several clients for a while now who really want to get into this business. So what's stopping them? It seems that fewer prospects are putting their homes on the market before making offers on a lodging/hospitality property. This is, after all, a discretionary purchase. They don't have to sell their house, leave their jobs and buy a bed and breakfast. It's a choice. Specifically, it's a lifestyle choice. Clients are telling me that if they don't find just what they're looking for, there's no reason to put their house on the market. So what are they looking for? Most are looking for a viable business with enough of a cash flow to support them without having to work outside the inn. They're not hoping to take a huge salary, but a modest one that will pay for their living expenses and a bit beyond. 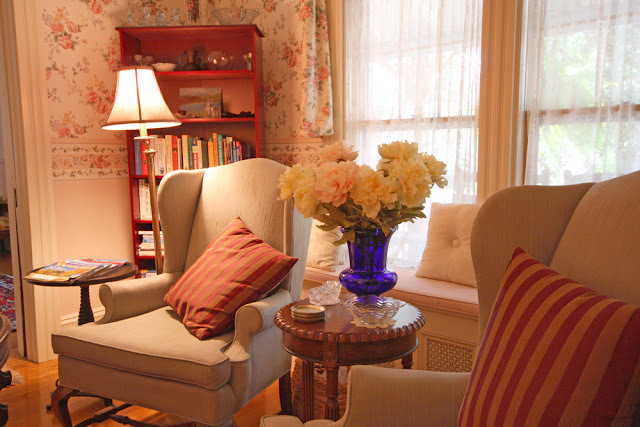 Part of the enjoyment most aspiring innkeepers are seeking is the work at home aspect. Being your own boss. Entertaining guests. Working with your partner. Meeting new friends. 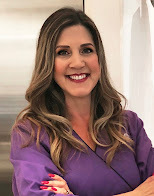 Fulfilling a love of cooking, decorating and concierge. This lifestyle, in part, offers innkeepers the simpler way of life. To enjoy the simpler things. And to enjoy the area itself that drew them and draws their guests just the same. And it's a way to play tourist and get paid. They're also looking for spacious and private owner's quarters. 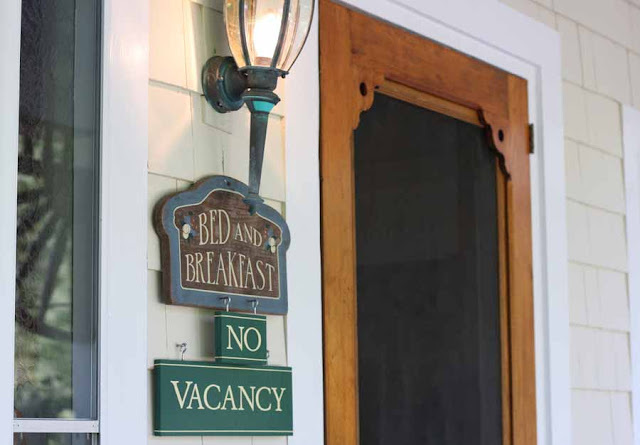 More and more aspiring innkeepers don't want to compromise privacy. They'll compromise a bit of space, but not privacy. If buyers are going to leave their jobs, sell their homes and get into this business in our slowly improving economy, they want their decision to be the right one. And not one made with their heart but rather their heads. So the performance of the business is very important. And for financing purposes as well. Banks are lending but they are paying very close attention to the cash flow. Gross multiples aren't where they used to be and banks will not lend on potential. 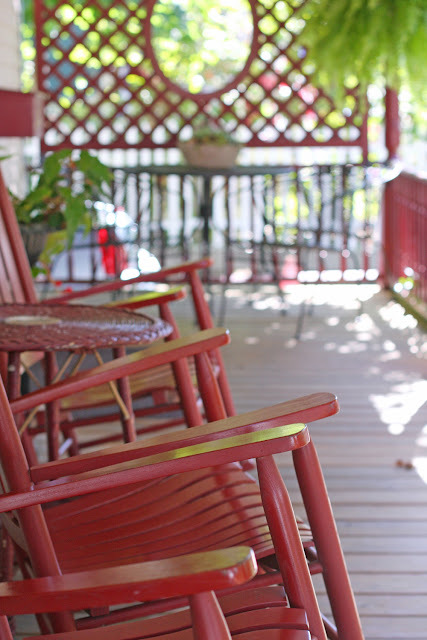 What some aspiring innkeepers are finding is that unless they find the right combination of owner's quarters and a strong enough business, they aren't putting their homes on the market ahead of time. They're not finding that they have several choices where if choice #1 became unavailable, they could just select choice #2 or so. So they're only putting their homes on the market when they have a comfort level with the inventory out there from which to choose so when they do find their buyer, they're ready. They just hope that the property they have their eye on is still available. But if there's no second choice, they feel there's no sense in putting their home on the market. And there are still quite a few listings out there that are priced higher than their business value. So this may be keeping some buyers at bay. Some buyers have been making offers with house sale contingencies, not always well received by sellers. In a better market, this was hardly entertained. In my opinion in our current market, I think it's certainly worth considering on a seller's part. Suggesting to clients they sell their house to become an ideal, liquid buyer is easy in the residential market. It's a different ballgame in the commercial hospitality market...I understand both buyer and seller sides...it's a tough gamble! Retire to Maine, not the Southwest or Florida? Absolutely! 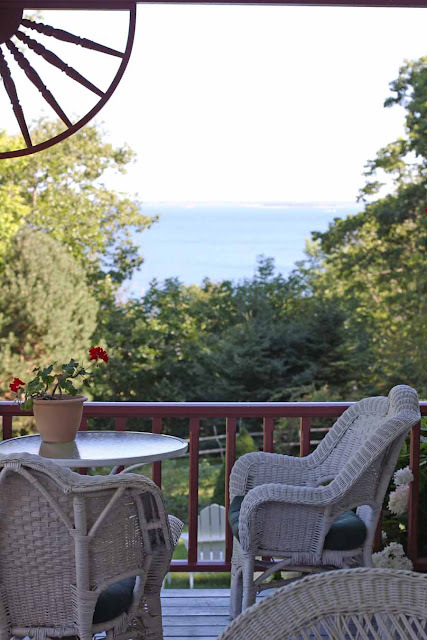 USA Today takes a look at Camden, Maine as a wonderful retirement destination. Don't get me started on lack of road rage or traffic here in Maine! It's fairly non-existent...cross a busy street on foot? No problem. We stop for people to cross the street. We are congenial. The farm to table movement in Maine is something we are very serious about. And our seafood? As good as it gets. 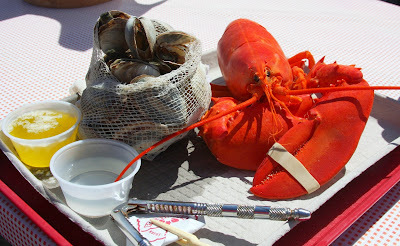 Our Maine chefs love to work with local fishermen and purveyors. And we love this as consumers! Tourism remains one of Maine's leading industries, along with agriculture, fishing, shipbuilding, forestry and machinery. Let's talk about the beauty and the state and national parks. And the unspoiled nature. Maine cares about its land and preserving the beauty! And I just happen to have a couple listings in the Camden area, as does our agency! 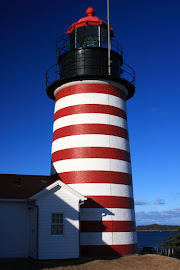 So come see for yourself what Maine has to offer! 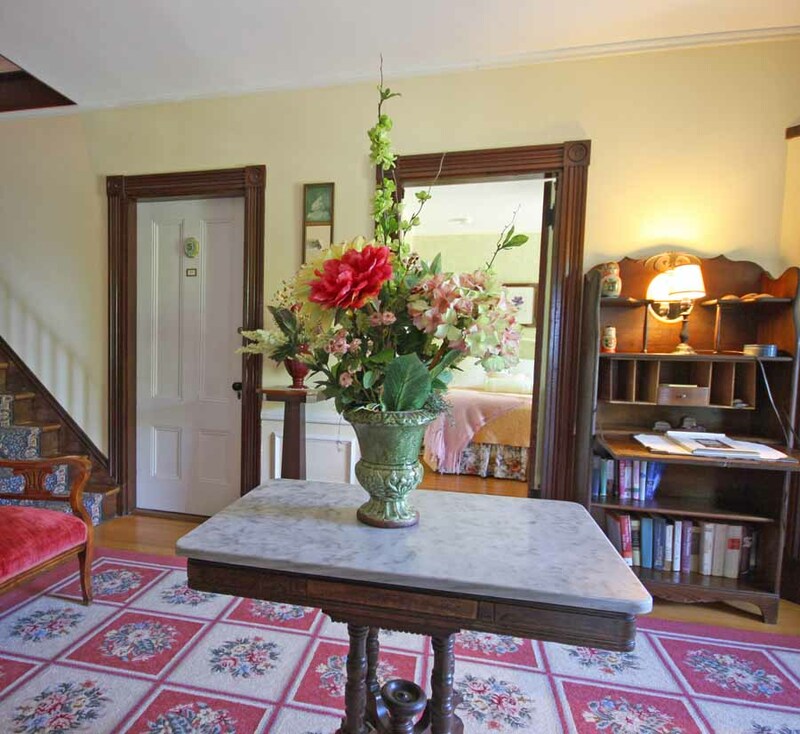 This lovely 6 room bed and breakfast sits on a quiet residential tree lined side street between Mount Desert Street and Cottage Streets, in a prime location in Bar Harbor. The inn does a strong seasonal business from about 5 1/2 months late May to mid-October. All rooms offer private en-suite baths, the inn has a very comfortable and welcoming living room with wood burning fireplace. There's a small guest pantry with a refrigerator, wine glasses, etc. The dining room is bright and airy. And there's a charming library and game nook on the second floor for guests to enjoy. This is a very well maintained property, inside and out. For more details and photos, visit the listing page of my website. Offered at a very reasonable $725,000. Beautiful location, beautiful grounds, beautiful view, beautiful inn, beautiful owner's quarters. This inn offers it all. View more photos and the listing on my website. 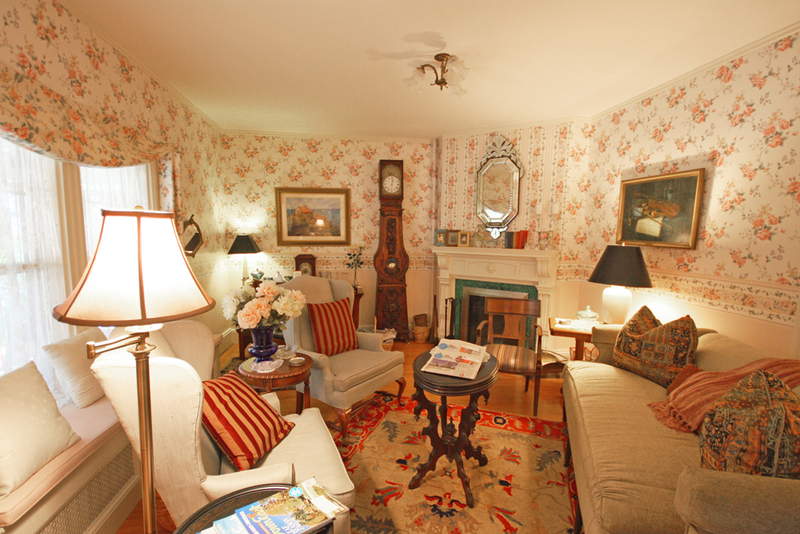 Looking for a postcard, waterfront, Maine bed and breakfast? 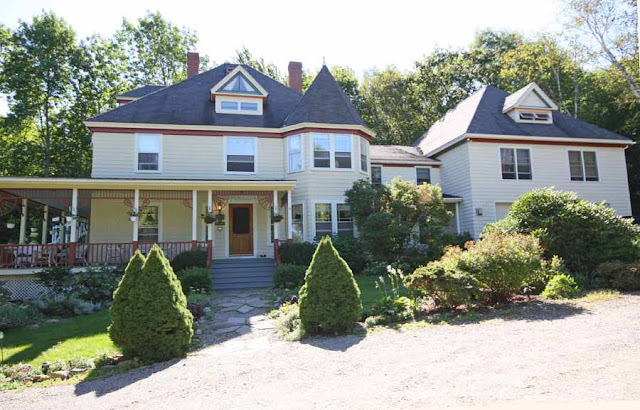 Harpswell Inn for sale offered at $1,900,000, 11 guest rooms, commercial kitchen, 50 seat function room (with restaurant license for 50) and outdoor functions can accommodate 120-150. A sloping lawn leads down to the water where guests can launch their canoes and kayaks. 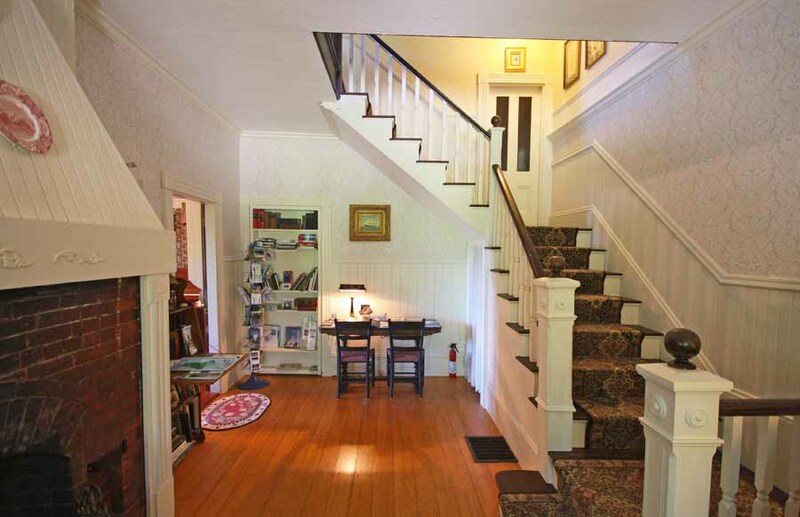 A beautiful property built in 1761 rich in history! Often my sellers will provide me with information about their area. I'll admit, I know a LOT about Maine, but I can't possibly know all towns as well as my clients - they LIVE there. Noble House Inn has done a nice job with showing guests (and buyers/aspiring innkeepers looking for property) what Bridgton has to offer. Not only is this a charming town and region with a lot to offer, the inn is a very successful business with a cash flow a bank will be pleased to entertain a commercial loan. This property's income supports the price. Bridgton welcomes you to one of the most beautiful places in Maine. The air is fresh, the water pure, the woods inspiring, the sunsets breathtaking, the night sky brilliant and the mountains, well, they are made for hiking, skiing & sightseeing. The combination of lakes, mountains and scenic beauty creates a vacation experience that is second to none. Come relax, unwind, and make memories you’ll cherish for a lifetime. Let the dynamic landscape, quaint towns and villages, intriguing people and warm western Maine hospitality motivate you to have fun and re-invigorate your life. Originally a senator’s estate, Noble House Inn is Bridgton's premier Bed & Breakfast nestled above scenic Highland Lake in the foothills of New England's Majestic White Mountains. Operating as an inn for over 30 years, Noble House maintains an exceptional reputation for service, food and accommodations. The significant characteristics of the inn, including its sweeping veranda and lawns, keyhole porch, fireplaces, hardwood floors and flexible floor plan have all been maintained with an eye towards preservation yet with all the comforts of 21st Century living. Noble House is located on a quiet side road in downtown Bridgton, a lovely, walkable resort community serving as the region’s hub. It is home to over seventy bodies of water, dozens of mountains and countless outdoor recreational opportunities. Centrally located just 35 miles from Portland, Freeport, the coast, and just 20 minutes from the White Mountains, Bridgton is a cultural & tourism-based resort community offering access to ski resorts, performing arts venues, movie theaters, shopping, restaurants, museums, art galleries and academies. Main Street weaves a mile and a half through the heart of downtown Bridgton where most amenities can be found including Noble House Inn. 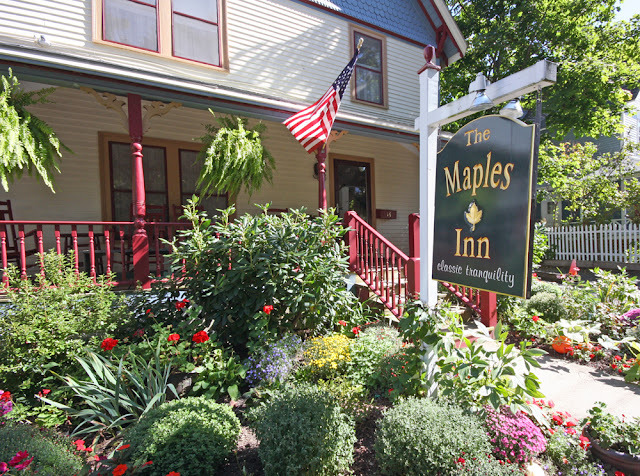 In 2012, two awards were bestowed on the inn: Voted “Maine’s Best Inn” (Pamela Lanier’s People’s Choice Award) and Winner of Trip Advisor’s “Certificate of Excellence”. Other recent accolades include the Best Maine Lakes & Mountains Inn as evidenced by our selection as an Editors' Choice by Yankee Magazine. o Maine’s largest agricultural fair, attracting over 200,000 visitors each fall. o Sanctioned dog sled races, biathlon & skijoring, plus winter carnival on Highland Lake steps from the inn. o 4-mile USATF-certified foot race benefiting Bridgton Public Library. 2,000+ runners. Racecourse passes the inn. Race was inducted into the Maine Running Hall of Fame. o Extreme triathlon of Kayaking, Mtn. Biking & Dash up & down Pleasant Mtn. o Features 30+ brewers of Maine made beers, micro brews & wines. Live music. o Gorgeous, privately owned, 4-screen theater with balconies, stages & pub. o Timber-frame Music Hall/Dinner Theater hosting national acts: Mary Chapin Carpenter, Bela Fleck, Cowboy Junkies, Tom Rush, Capitol Steps, Leon Redbone, Smothers Brothers, Indigo Girls, Robert Cray, Paula Poundstone, etc. o Historic Adirondack-style Performing Arts Venue; Broadway plays, festivals, etc. o Most night skiing in New England. 44 Trails/Glades, 5 Lifts, Terrain Park. o 27+ Kilometers of Cross-Country Skiing by winter. Apple Orchard by summer. o Challenging 18-Hole Public golf course. Incredible views. o Full-service Central Maine Medical Facility. Life Flight. Stephen King benefactor. o Unique 1 year, all-boy P.G. school. Exceptional reputation! o Memorial Day, Independence Day, Christmas, etc. 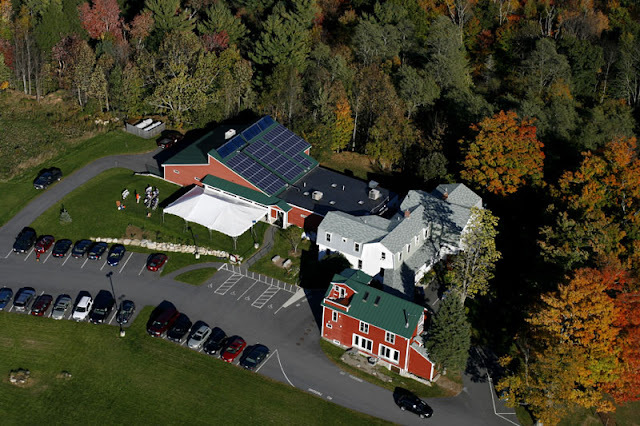 If you're looking for inns that the bank will be more than pleased to lend on, Noble House Inn in Bridgton and Wild Iris Inn in Portland offer some of the strongest numbers around. We talk about gross rent multipliers quite a bit in this business and these are two sellers who have the numbers to support a commercial loan based on their list price. Banks are lending, and for these two listings, a buyer won't have to put down additional money. They're turnkey, year round businesses. Contact me for more details. Visit my website for listing information and additional photos. Another very strong business, based on income is my confidential listing in the Augusta area. Contact me for details. This provides a very strong cash flow. It's been almost 11 months since I threw myself back into active innkeeping and time sure does fly. 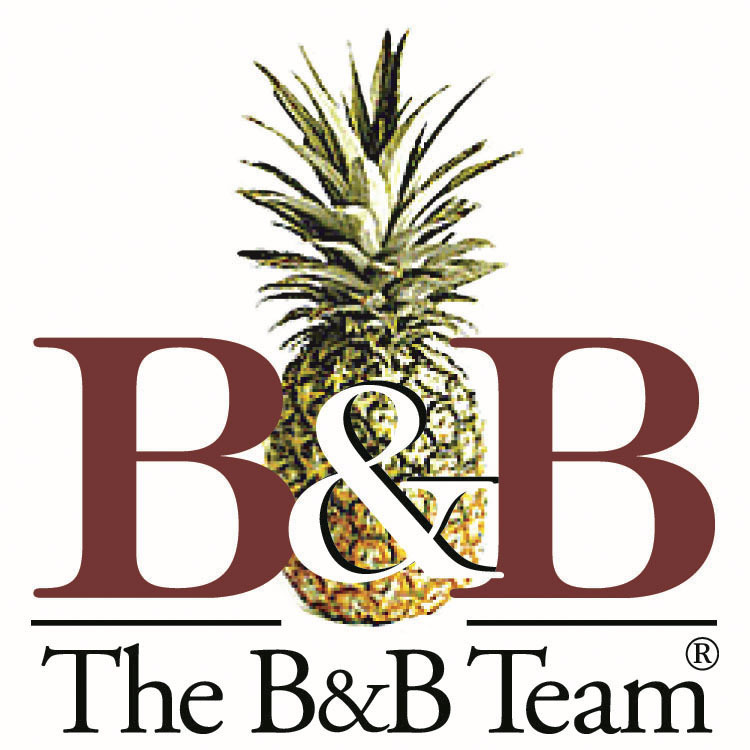 What have I learned as an inn Broker and now innkeeper? That generally speaking, technology moves much faster than an innkeeper's schedule will allow. But we have no choice to at least keep up with the most popular of the social media outlets. New ones come along seemingly daily. Social sharing makes SEO benefits and referrals a no brainer. But to find the time? I've just found that I have to make it routine. And for me, that means in the morning over two cups of coffee before hitting the kitchen. And then I have my laptop with me in the kitchen. Any moment I have is spent posting a photo or a recipe, etc. to our Facebook page. And then later in the day when I pour myself a glass of wine, I'm back on again. And that's about all I have time for. Instagram is a favorite of mine, allowing me to simultaneously post a photo to Twitter and Facebook while geotagging. And shall we talk about the benefits of what Mashable dubbed 2012's hottest startup - Pinterest? Talk about the exponential benefits of social sharing? Post recipes, photos of your breakfast, your rooms, your inn...allow them to be shared in social circles. It's FREE advertising! Innkeepers must learn to multi-task. 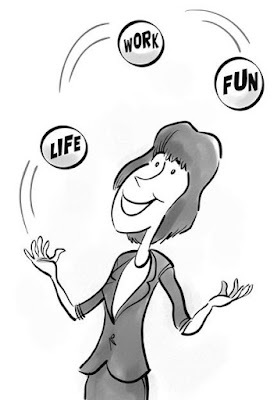 Adding the social media to it is just another ball in the juggling game!